My Glamour Doll Eyes OTM for December arrived really early this month, which is great because now you can all see what you'll be getting if you subscribed this month! Spoilers! Woohoo! December tends to be a big month for the OTM, Vanessa likes to go all out! 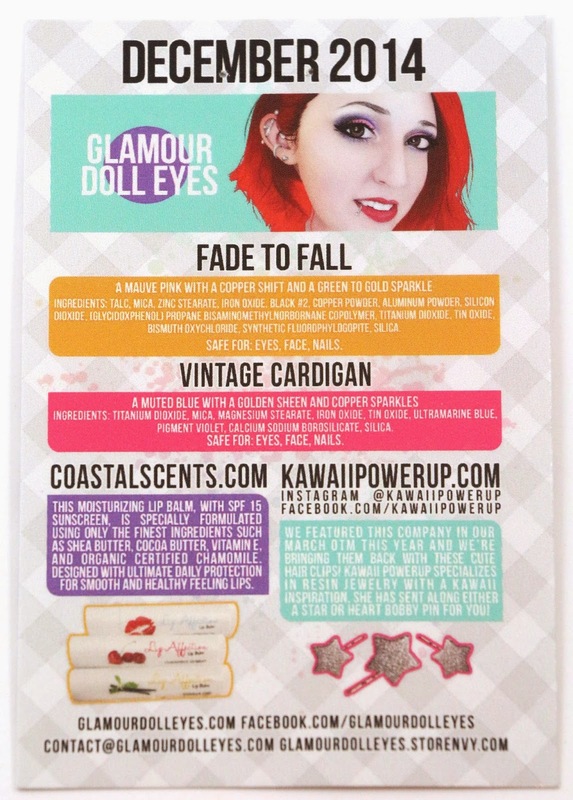 Glamour Doll Eyes is an indie cosmetics company specializing in eyeshadow, blush, lip glazes, gel eyeliner, and will be soon venturing into pressed shadows. 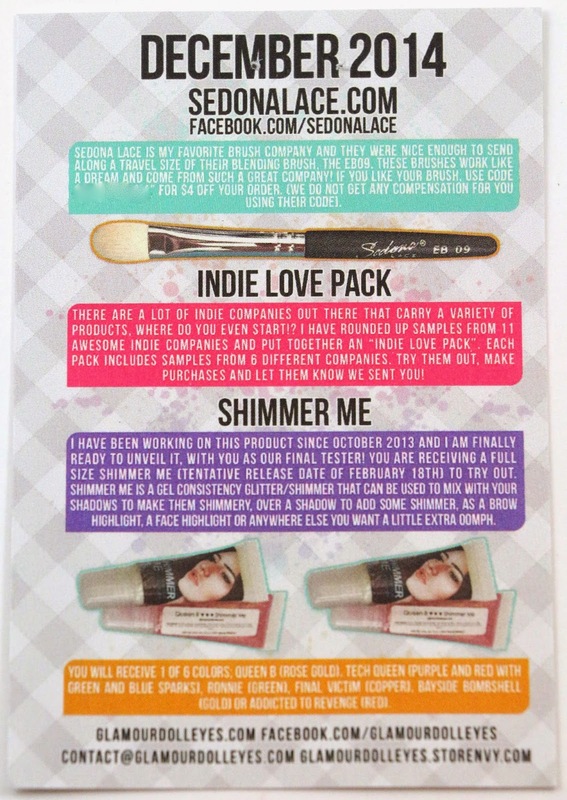 Vanessa, the owner, is based in Nevada, and has been doing a monthly subscription for over a year, 3 years in fact! Shipping - Vee usually ships these subscriptions in a few waves after you are billed. I happen to be billed a little earlier than most, so I tend to get my shipping notice fairly early in the month. Mine shipped via USPS and arrived 2 days later from Nevada to California. Product Size - The OTM always includes at least one full size Glamour Doll Eyes eyeshadow, plus bonus extras in varying sizes. 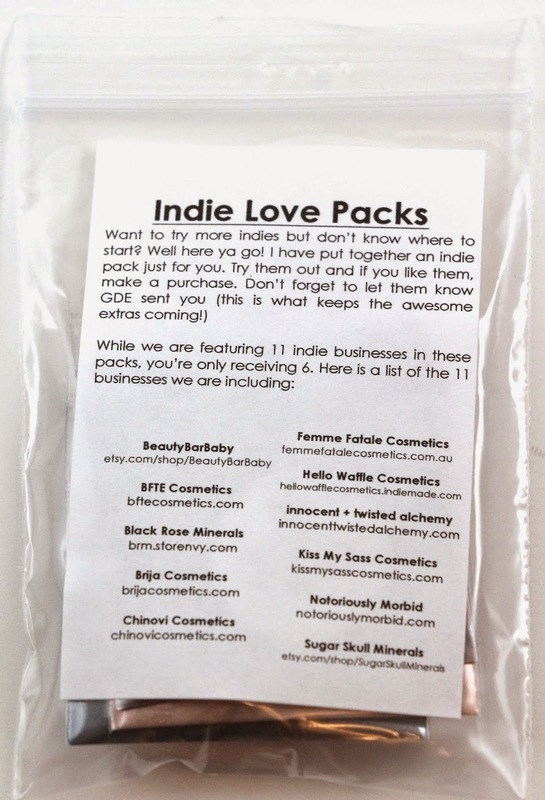 Free Samples - The free samples vary each month, but there's always at least one from another indie company. This month there were quite a few extras! All eyeshadow swatches are done over Too Faced Shadow Insurance primer, unless otherwise noted. I know the pretty lady on this month's info card too, hi Amber! I love the look the designer created for her! 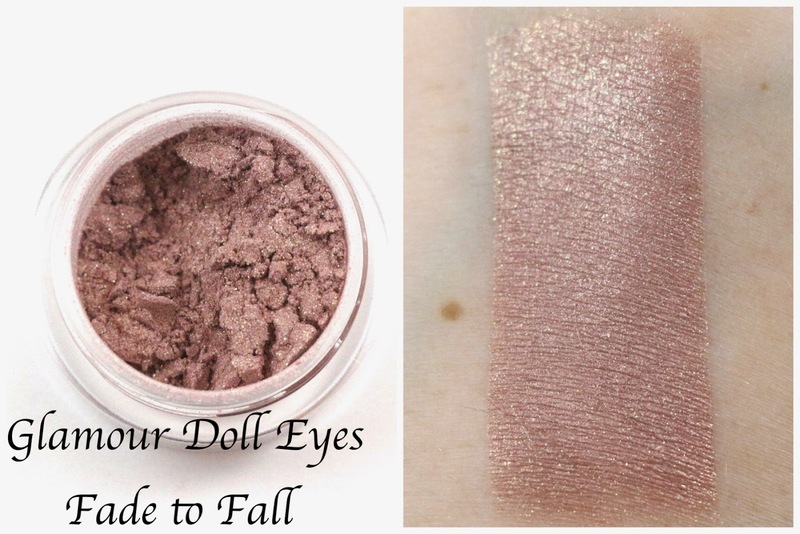 Glamour Doll Eyes Fade to Fall - "A mauve pink with a copper shift and a green to gold sparkle." Such a pretty rosy gold shade! I love the mauve undertones, and the golden sparkle, I'll definitely be sporting this shadow this month. It's a great shade for work, or to the family holiday events coming up! 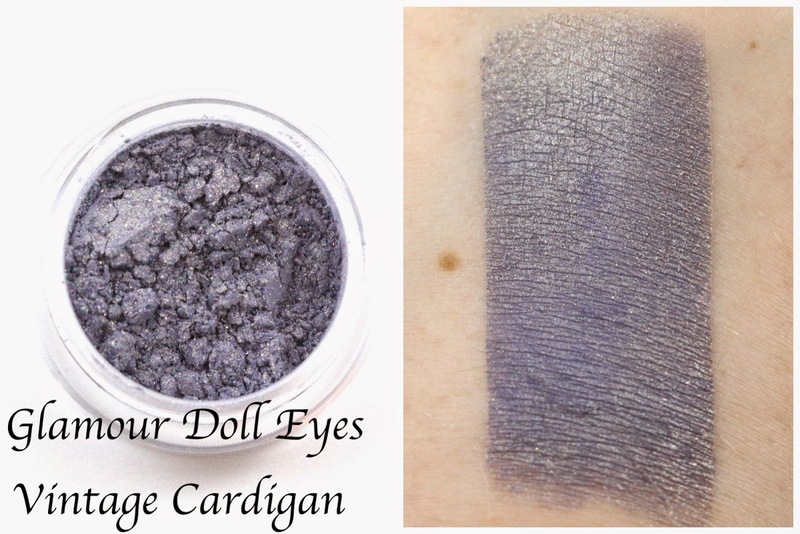 Glamour Doll Eyes Vintage Cardigan - "A muted blue with with a golden sheen and copper sparkles." I think this shade would look great by itself for a pop of color, or paired with Fade to Fall! I will probably use them together, because anytime I can use as many products together that I haven't used yet, means the more I can say I have tried! I didn't even know Coastal Scents sold lip balm! It's actually pretty good, even though mine doesn't taste like it has any flavor, so it's a little boring. But good for when I'm testing perfumes, and I don't want to be smelling my lip balm while doing so! Oh my gosh this is adorable! I've never heard of this company, but I might need to order some more when the store opens again after the holidays. It's hard to tell from the photo, but in the upper left hand corner of the heart, there's another smaller heart stamped in. It's very cute, and this is made with resin, so the glitter does not come off! 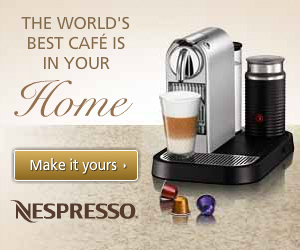 I keep hearing about this brand, but I've never tried any of their products. This is a smaller travel sized version of their blending brush, the EB09. This is perfect because I don't know if I've really found a blending brush I like yet, and I always need smaller travel sized brushes I can throw in my bag for going to see B. I don't know how many times I've taken my regular brushes out of my bag and forgotten to take them with me. This one I can just leave in my bag, and that way I'll always have a brush when I go! 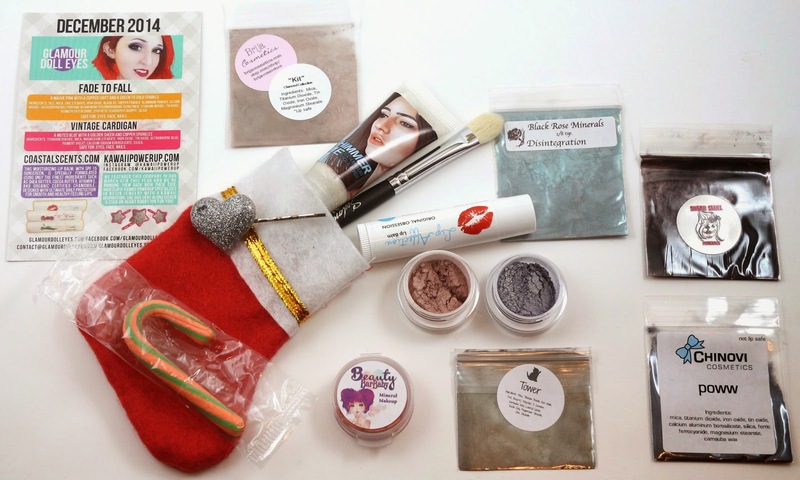 This month's OTM included this little pack of random samples from other brands for us to try! Some of these I haven't heard of, so I can't wait to find out more about some of the brands! Here are the samples I received. I thought it was great that I got a lip sample too. 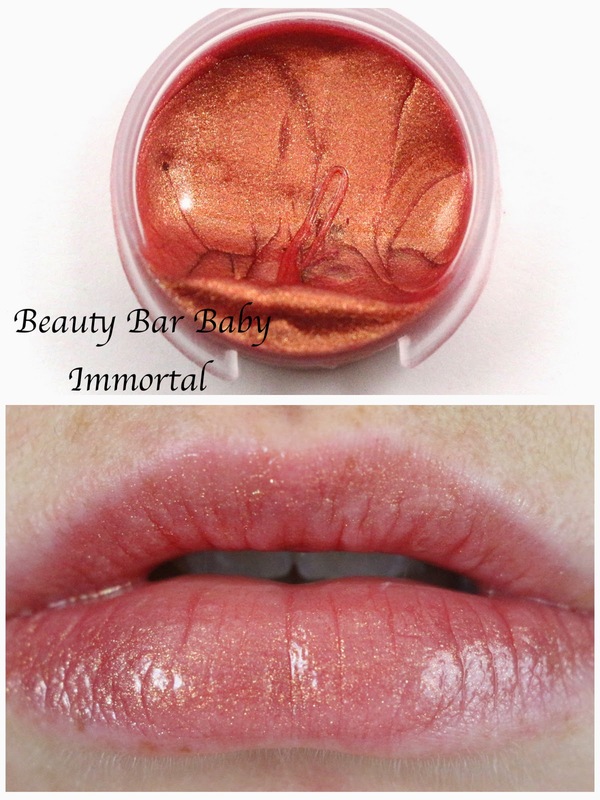 I don't see this particular color on the Beauty Bar Baby Etsy store, so I'm not sure if this is something new or discontinued, or what. It's a very pretty shade, I wasn't expecting it to be so sheer, but it's just a wash of color with lots of golden shimmer in it. I'm not sure how I feel about the formula on these lip glosses, they are pretty thick, almost like a gel. They're not really sticky, just really thick. It's a very pretty shade though. 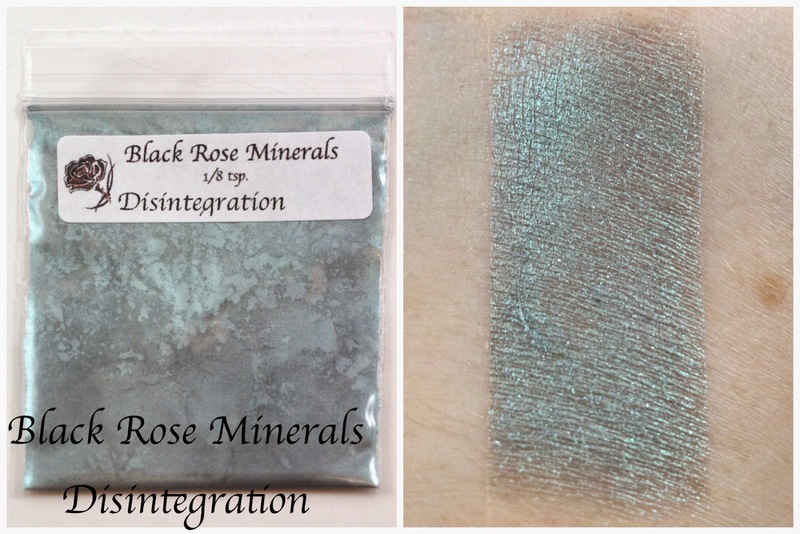 Black Rose Minerals Disintegration - " A grey base with blue undertones and aqua sparkles." This is a pretty shade, it reminds me of a few other shadows I have in my collection. I don't think I've ever tried anything from Black Rose Minerals before. I didn't find this shadow to be particularly pigmented, you can see in the swatch it was kind of see through, even after I really tried to pack it on. 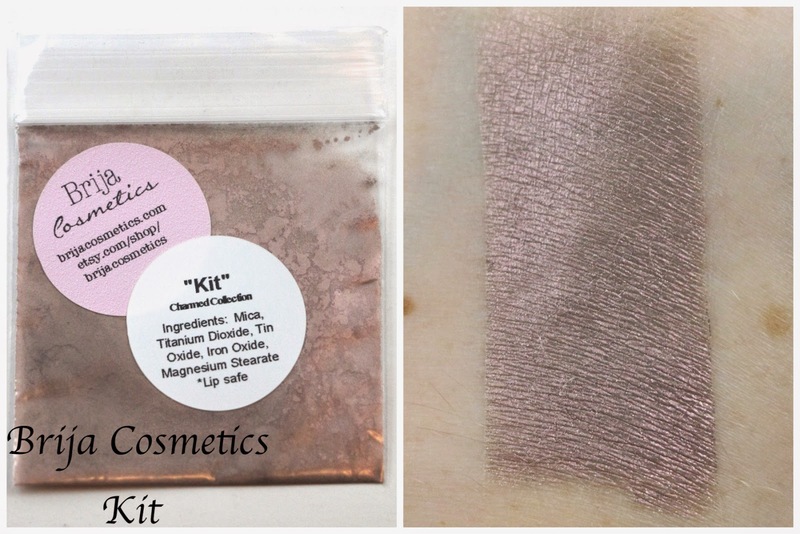 Brija Cosmetics Kit - "A light grey taupe with red duochrome." This is another company I've never heard of, and I just looked and they have a One Tree Hill inspired collection!!! And a Dexter collection...I may need to order something from them. Plus, the shadow sample I received is so pretty. There's just something about a gray eyeshadow and one with a strong red duochrome, be still my heart. And it's lip safe...I might be experimenting with that. 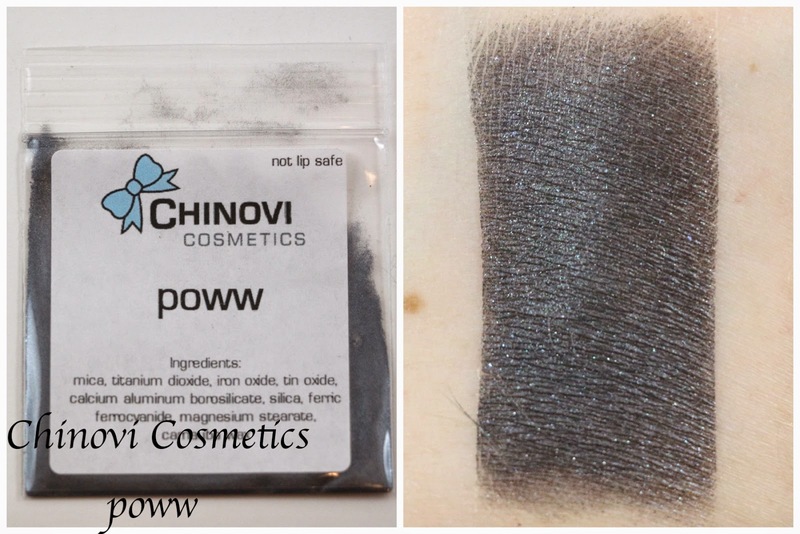 Chinovi Cosmetics poww - "A medium silver blue with green shimmers." I don't agree with the site description for this shade, it's definitely a black base with dark blue and silvery shimmer. It's quite pretty, I think in person it actually looks more blue to me, but it's pretty dark. Hello Waffle Cosmetics Tower - "Deep blue-gray shimmer." 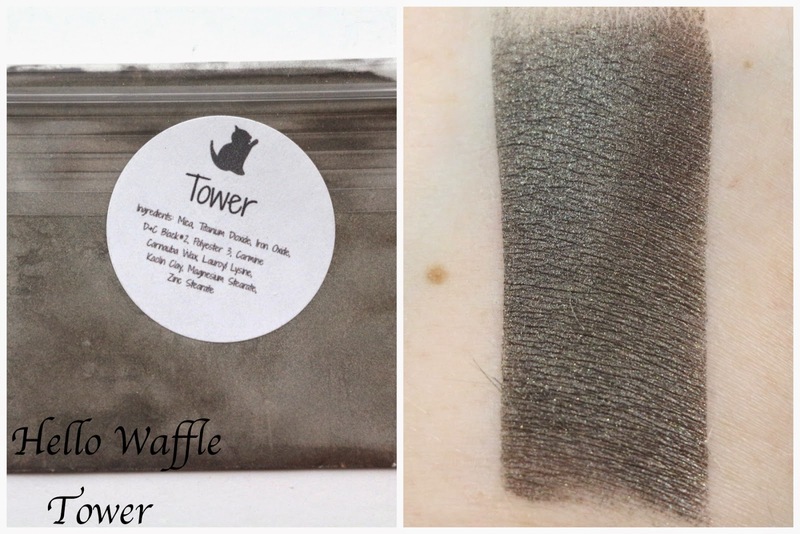 This shadow is from the Persinette Collection, which is one of the very few Hello Waffle collections I don't have yet, so win! This collection is currently not available, it will be back in the spring, but it's a dark gray shadow, with a hint of shimmer. As soon as this collection comes back in stock, I'll probably be ordering the whole thing! This is another product I can't find on the brand's website, so I'm not sure what's up with it. It's a beautiful dark purple with a silvery sheen and green and copper sparkles. Just lovely, purples are always a favorite of mine. 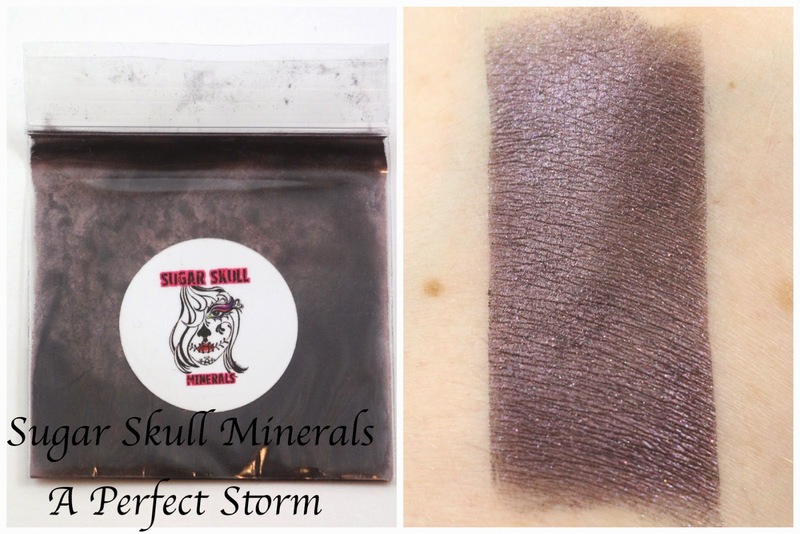 Plus, I just love the Sugar Skull formula, they are so pigmented and buttery smooth. EDIT: Hearing that this shade may have been created exclusively for the sub. I am so glad I got this one then! Glamour Doll Eyes Tech Queen Shimmer Me - "Purple and red with green and blue sparks." This is a preview of a new product Vee has been working on for over a year now, tentatively scheduled for release February 18th. They are multi-use, and can be used mixed with a shadow, over the top of a shadow, as a brow highlight, or face highlight. There were 6 possible colors you could have received, and I got Tech Queen, which I think is probably the perfect shade for me. I love the name, and the shimmer is just so beautiful. I swatched this over primer, but with nothing else just so you could really see what the product itself looks like. You barely need any to cover a small area, and it comes out of the tube with a gel like consistency. I just love the purple pink color of mine, I can't wait to try mixing it with some shadows to see what kind of looks I can come up with. Or as a brow highlight, I always need more of those. Overall, this month's Glamour Doll Eyes OTM had a total value of $39.44 and I thought this month was awesome! Such a great value considering this sub cost me $8 this month, and I discovered new brands! 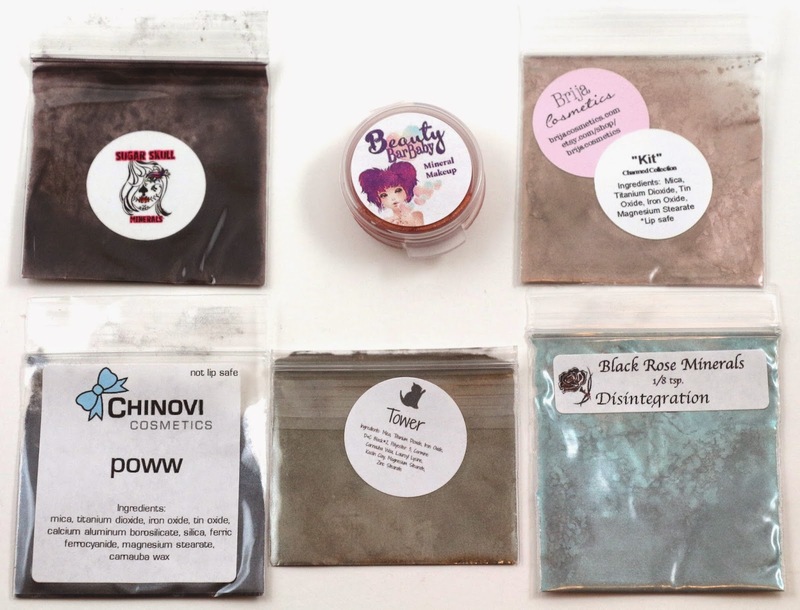 I've tried so many indie brands, but because of the sheer number of them out there, it can be hard to discover new ones you haven't heard of before. 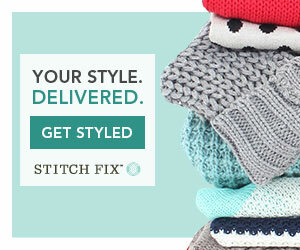 Trying them in a subscription is a great chance to get a feel for if you'd want to make a purchase from them. Awesome awesome, I loved how much variety there was. 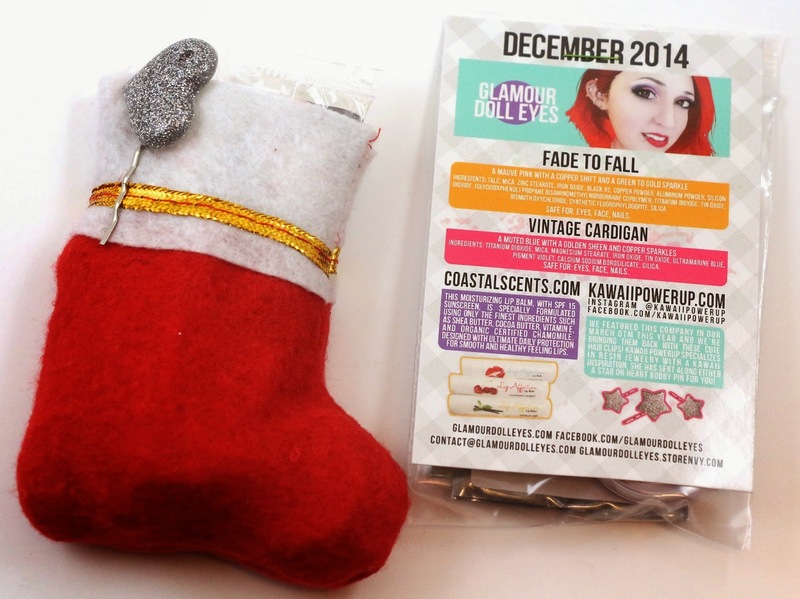 Eyeshadow, lip product, lip balm, a brush, a hair accessory, and a sneak peek at a new product. Customer Service - I did not have to contact Vee about any problems this month, nor have I ever had any problems with my Glamour Doll Eyes orders or OTM. Her attention to detail is always spot on. Availability - Some of the bonus items are available for sale on their respective brand websites, which I've linked above. A few extras of the OTM and Fade to Fall will be going up for sale on the Storenvy site. 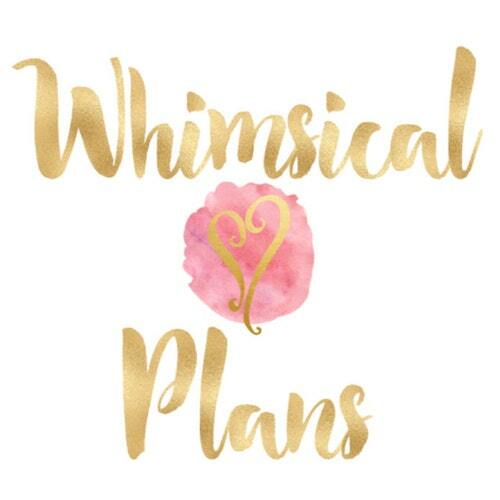 Overall Satisfaction - I loved everything this month, but my favorites were Fade to Fall, the hair clip, the brush, A Perfect Storm, and the Shimmer Me. I will definitely be continuing my Glamour Doll Eyes OTM subscription. The Glamour Doll Eyes OTM is a limited subscription you have to act fast if you want in! Every month on the 8th (or the Friday before if the 8th falls on a weekend) they offer up the subscriptions to sign up for. Starting in January the subscription will be moving to a new platform, so stay tuned for details about that.